Greetings from beautiful Lexington, Kentucky! 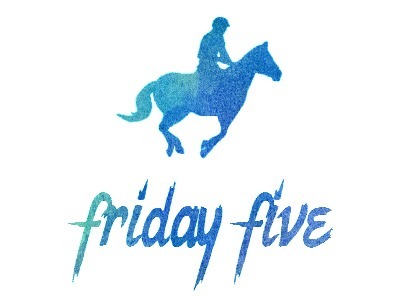 I’m having a fun week at US Dressage Finals, and I’m looking forward to seeing a few equestrian bloggers this weekend. Here’s what’s on my radar this week. I haven’t taken an in-depth look at these, but a quick glance at Novice A and Novice B revealed the presence of a trot serpentine and a stretchy trot circle. I don’t relish performing any kind of serpentine in a 20 x 40 arena, but it’s fun to see USEA incorporating something other than a circle into the test. Most of work’s nice dressage stuff lives on the dressage trailer; the store doesn’t serve a market that’s interested in $500 dressage coats, so it doesn’t make sense for us to stock it. This week, I’ve had my grubby little hands all over the fun stuff. 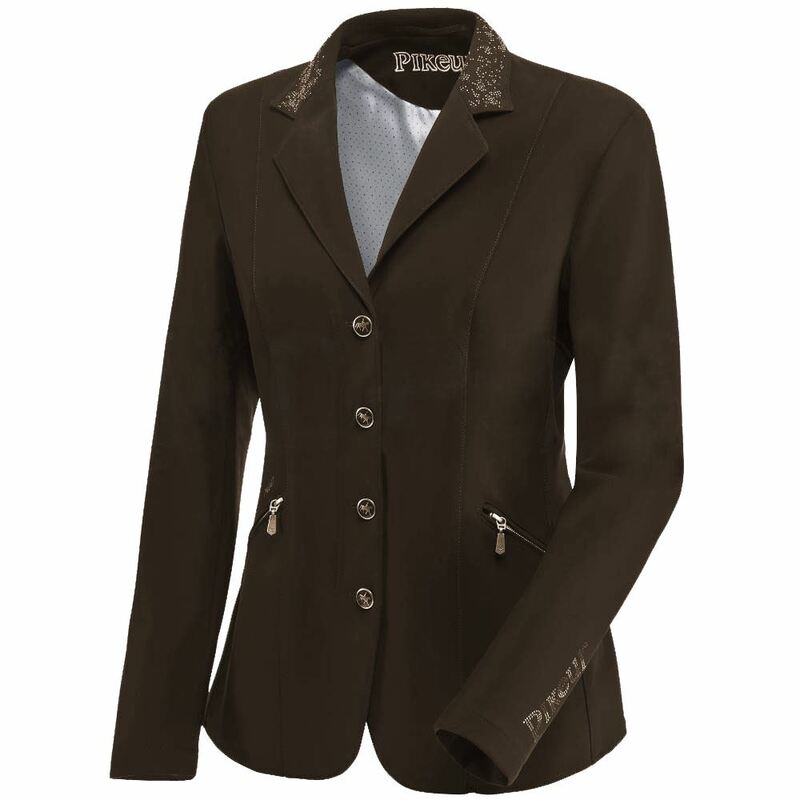 I’m currently obsessed with the Pikeur Saphira coat in chocolate brown. The fabric is so stretchy and lightweight, the cut is slimming, it has a zipper under the buttons, and a fun amount of bling. How do we think a brown coat would look on a bay horse? I’m totally into brown on chestnuts, but on the fence about bay. The hunt I’m a member of is hosting a Foxhunting 101 clinic next month, and I’ve been asked to talk about attire for formal and informal seasons. I’m really excited! What do you want to know about hunting attire? Or, what do you want to know about hunting in general? The organizers are still developing content for the clinic, so I’ll pass along your suggestions! I thought this was an interesting read. Candy has hoof flares on her hind feet; I’ve got a great farrier, but it’s nice to read for myself about what’s going on back there. What the what! I’m interested to see how this pans out, but what a shame. What have you been checking out this week? That hunting clinic sounds awesome. Can you do a post on the attire here too? Would love to see what you are supposed to wear when. Not because I’ll ever hunt (too chicken) but mostly because I love horsey fashions. i just read through the new tests this morning. i despise the former BN A and am sad to see it almost completely unchanged – except they moved the halt. meanwhile my beloved BN B has been adapted beyond recognition. it now has those weird half circle canter things from novice, only one trot change of rein (sad!) and instead of turning at C when you enter you verge off on a diagonal from X (which i like). we’ll see how that actually plays out tho. my general impression from browsing through them quickly is that they’ve taken elements from every test and moved them down to the test below. BN has stuff from former N tests. N has stuff from T tests. plus a few new and interesting moves – like the serpentine! and lots of halting at G. curious to get out and play with them! I would love to go to a fox hunting 101 clinic!